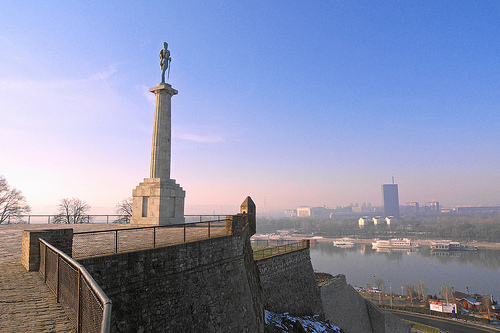 Belgrade is quickly entering the limelight shared by exciting European travel destinations such as Berlin, Paris and Prague. Complimented by the Sava/Danube River that flows through the capital, the city’s non-stop nightlife, fascinating history and delectable traditional restaurants have been attracting thousands of visitors since Serbia’s tourism boom during the past decade. Perhaps best known for the Yugoslav crisis during the 1990s and Nato’s bombing of Belgrade in1999, which among other buildings left the Police & Army Headquarters desecrated. The remnants of the bombings and Serbia’s eventful past propels Belgraders of all ages to treat every night like a Friday night shaking off the past.